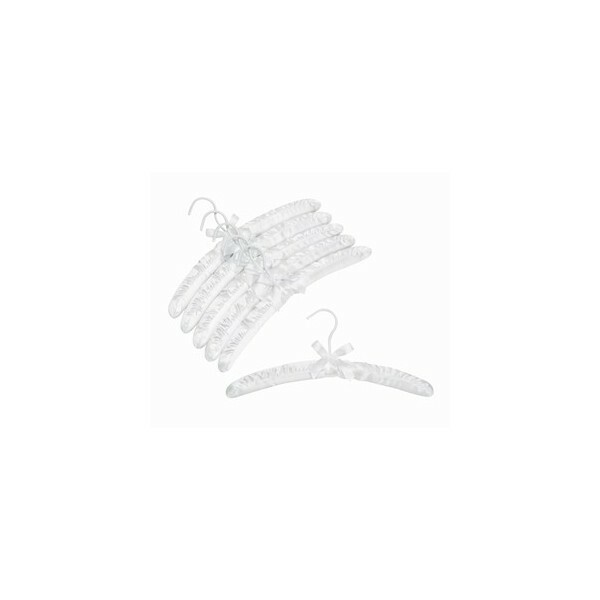 These fine white satin covered hangers offer plush storage for all garments. The tied satin bow at the base of the hook completes the appeal. Sold in packs of 6 hangers.